Score $30 off your first meal box es filled with the freshest ingredients for up to 4 people! 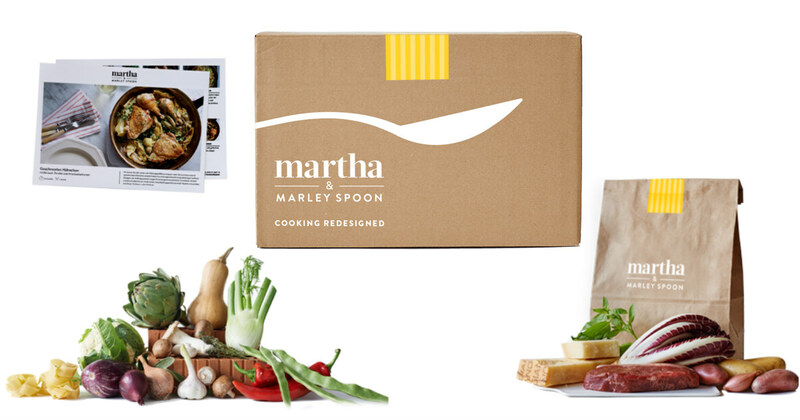 Get dinner delivered for as low as $15 for 2 people from Martha & Marley Spoon! Right now they have a promotion for $30 off your first two deliveries! It makes meal planning for the week so much easier. Choose a box of meals for 2-4 people with up to 4 week day meals for as low as $30! You can have a box delivered every week, or skip a week at any time. Each week, 10 days before your delivery day, you’ll receive an email with meal choices. If you'd like to swap recipes, you can do so under "My Account." Everything is shipped to arrive fresher than you might see at the supermarket. They guarantee you’ll be able to use the ingredients for at least 4 days after you receive them, with the exception of fish which should be cooked within 48 hours. Martha & Marley Spoon is PERFECT for those busy weeks where you don't have time for meal planning, shopping and prepping.